Word for Today (105): Light and darkness do NOT co-exist. The extent that your light will shine is the extent you sincerely and diligently expose yourself to the word of God. Yes, if any man be in Christ, he is recreated anew in Christ Jesus. To spiritually grow daily, ensure you stay with the Word (bible). Read, study, meditate, value, ‘eat’, share and promote the word of God daily. Refuse to be distracted. God bless you as you do. “This then is the message which we have heard of him, and declare unto you, that God is light, and in him is no darkness at all” (1John 1:5). 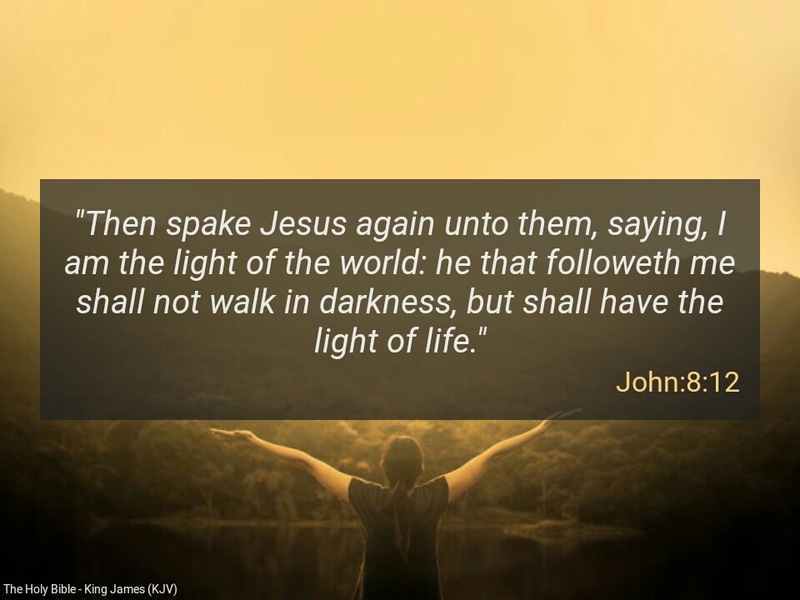 There is someone reading this message , receive abundant grace NOW to be the light of the world in Jesus precious name. Amen! Father, we pray that righteousness be established in your church; let the FIRE of Holy Ghost continue to be rekindled in our different nations all over the world in Jesus precious name. Amen. Please Father, in your POWER continue to expose every act of hypocrisy, pretence and evil in our societies and bring the perpetrators to shame in Jesus mighty name. Amen. Bro Ben Bassey is a consultant psychiatrist and a spiritual health counsellor based in the UK. He ministers to people regularly through the MOW, WordPress Ministry and AHF. He is a true disciple, teacher, evangelist, prophet, missionary, and ambassador for JESUS CHRIST. He has a passion for the Word of God and is a strong Defender of the Truth. He was baptised in the Holy Spirit on the 10th February 2008.